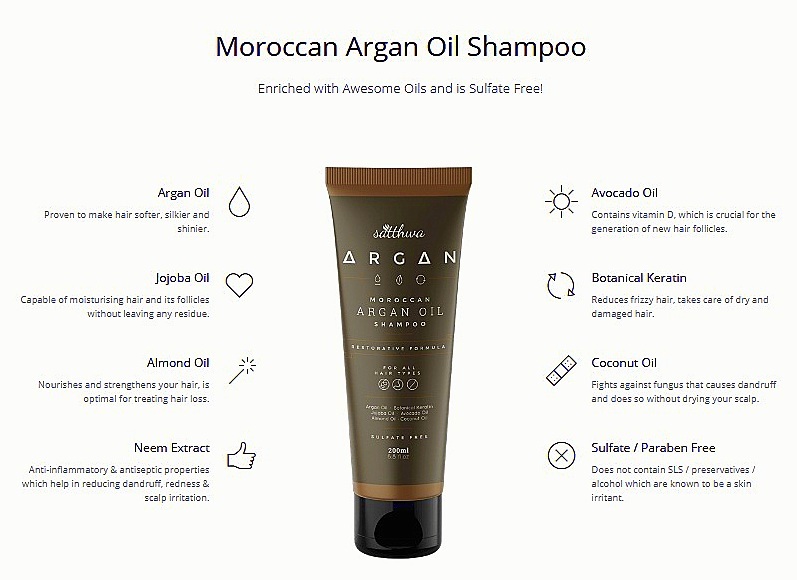 Home best sls free shampoo in india Hair care review Satthwa Moroccan Argan Oil Shampoo Review satthwa shampoo review sls free shampoo Satthwa Moroccan Argan Oil Shampoo Review: India's best SLS free Shampoo? 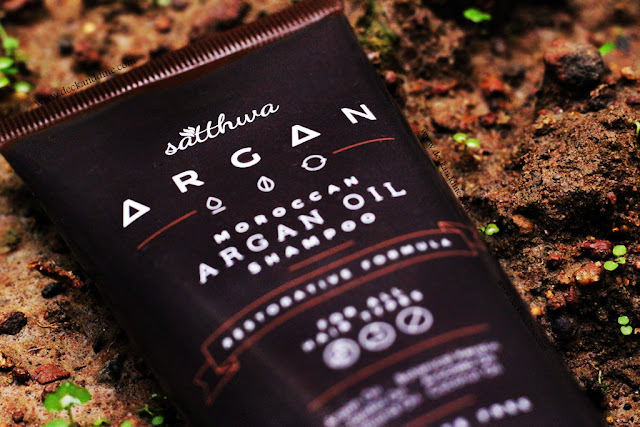 Satthwa Moroccan Argan Oil Shampoo Review: India's best SLS free Shampoo? 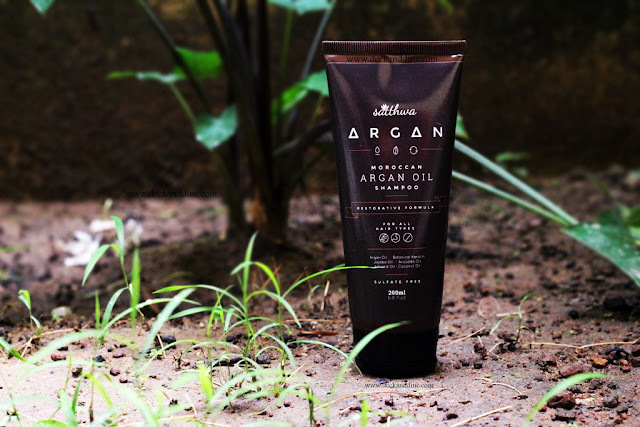 We all love to use organic, chemical free products. Don’t we? For me, I didn't really pay much attention to the ingredients in my skin care and makeup, even until 1 year ago. But recently I have become more aware and cautious about the ingredient lists, especially when it comes to skin and hair care. 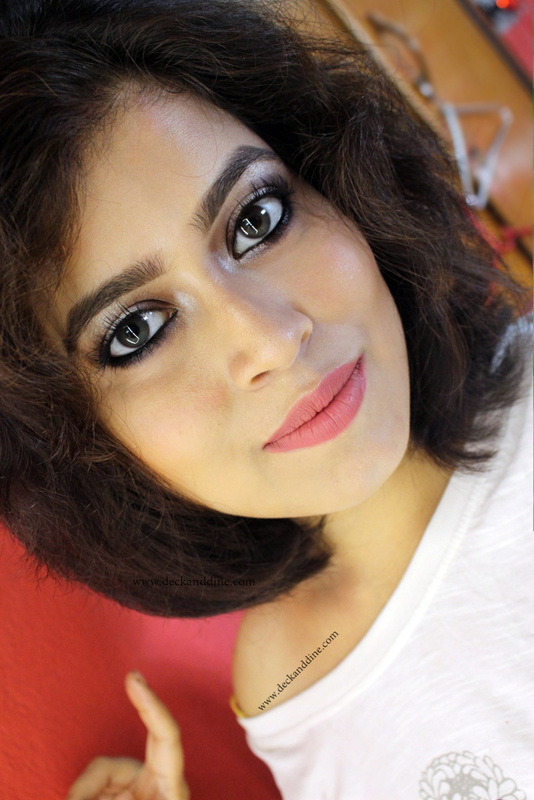 Today, I am here with a review on a newly launched product from the house of Satthwa. Satthwa is a brand which is known for products that are made from Grade A pure ingredients without the use of harmful chemicals and parabens. They have recently come up with this “Moroccan Argan Oil Shampoo"
So without wasting any time further, lets get into the nitty-gritty details.. Unlike most of the shampoos available in the Indian market that come in bottles, Satthwa Argan Oil Shampoo comes in a squeeze tube packaging with a flip-top cap. 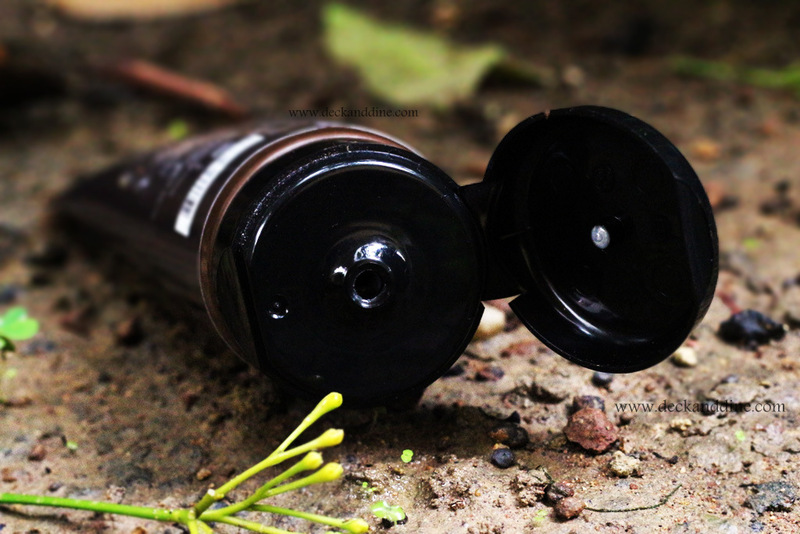 The tube is huge, sturdy and the cap is leakage-proof making it ideal for traveling. How does the shampoo look and smell like? The shampoo is thicker and creamier than your usual shampoos, but that doesn’t make it any less effective in evenly distributing and spreading across your scalp, hair. It smells amazing. I have a sensitive nose and detest strong fragrances, but this one is so divine, so refreshing and lingers even after a day or two of hair wash.
My sister-in-law and I, we both have been using this shampoo for the past two weeks. She has soft, silky, straight hair, whereas I have dry, frizzy, wavy hair. As I have already said that I have dry and frizzy hair and herbal, ‘au-naturel’ shampoos make my hair drier. An oil massage and conditioning is must for me. But I first started using this shampoo without using anything pre or post of it, just to know how the shampoo actually performs without any other help. As it is SLS free, I didn’t expect it to lather much and yes, it doesn’t lather much the first time, but it does its job pretty well. Lather doesn’t always mean that the shampoo is cleaning better you know. If you are not satisfied, you can go for a second wash; it lathers pretty well during the second wash and that too using a tiny amount. I have to shampoo my hair pretty often, sometimes even daily, thus a tiny coin-sized amount and a single wash is enough for me. It cleanses my scalp well, despite not lathering gallon. But if your hair is dirty or oily, you might need more product and more washes. Without conditioner my hair becomes very dry and surprisingly it was less dry with this, thanks to the nourishing agents. The oils in the shampoo made all the difference I guess. Later I started oiling my hair prior or using conditioner post washing my hair with this shampoo and my hair felt extraordinarily soft, bouncy and manageable. With continuous use I am even noticing less hair fall during wash and also my scalp doesn’t flake as much as it used to. The shampoo washes off pretty easily, without leaving any residue. She has normal hair and she was even more impressed with this. She didn’t need any oiling or conditioning pre/post usage and her hair felt so beautiful. I just couldn’t stop touching her hair. She loves oiling her hair before shampooing and that made her hair feel even more luxurious. She totally loves this shampoo. Does it contain SLS, paraben, silicones, artificial color and fragrances? No, it does not contain any harmful chemicals, just all natural products and thus making it totally safe for the skin and hair. The fragrance used is natural and is very mild. Is it compulsory to apply Satthwa premium oil before shampoo? No, absolutely not! But for best results, the brand recommends to use the hair oil prior the shampoo. 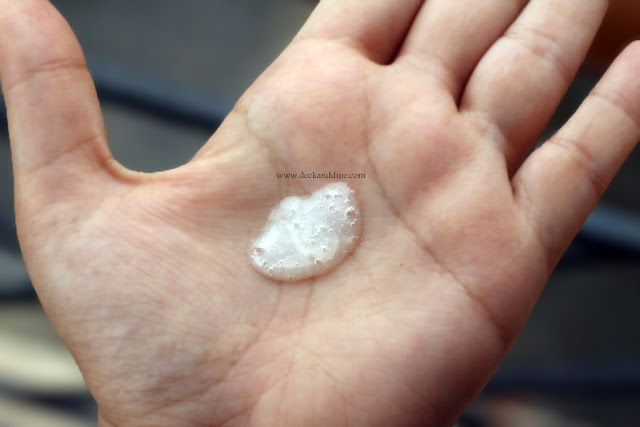 Is it helpful in dandruff? 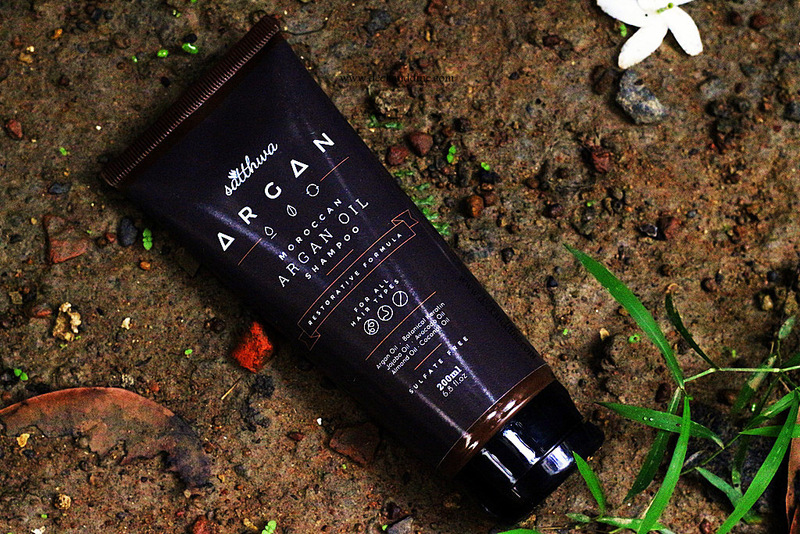 Yes, the shampoo contains Neem Extracts which are anti-bacterial and also fight dandruff. But you have to give it time to show results. Is it helpful in stopping hair fall? Well, I believe no shampoo can totally stop hair fall, but yes, they can control hair fall to some extent. I personally have noticed less hair fall and breakage while using this shampoo. After shampooing with this shampoo is conditioner necessary? This totally depends on your personal preference. 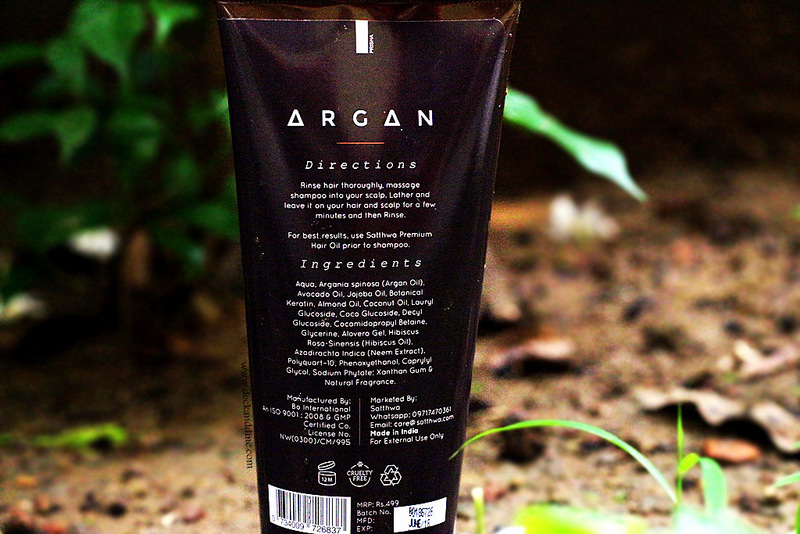 This shampoo contains ingredients which do condition the hair as well, so you can skip conditioner. But I personally would suggest you to condition your hair after using this. Which is your current favorite shampoo? Why do you love it so much? Let us know. This sounds really lovely. I specifically look for sulfate free shampoos since my hair is colored. It sounds like a great shampoo, but I have thin hair and when I use any products with oils or butters my hair is left completely greasy. Thank you for the review! I usually like using products with argan oil. I love it when companies put so much effort into making a product. Loved their packaging and the fact that they are free from SLS. Would love to give it a try! Loved the review.. looking forward to trying this one.